A juvenile hawksbill turtle tagged at St Joseph Atoll in the Seychelles’ Amirantes Islands has been discovered just north of Malindi in Kenya. A juvenile hawksbill turtle tagged at St Joseph Atoll in the Seychelles’ Amirantes Islands has been discovered just north of Malindi in Kenya. The 40-centimetre turtle travelled at least 1,500 kilometres across the Western Indian Ocean, earning for itself the world record for the longest migration of a turtle that size. After surviving for 15 years adrift in the open ocean, juvenile turtles that arrive at St Joseph Atoll are in for the good life. The lagoon and surrounding habitat teem with turtle life. It is estimated that more than 700 hawksbill turtles and 1,500 green turtles live here, thriving in the atoll’s sea-grass beds. It is hard to imagine then, why one adventurous little turtle would chose to brave the open ocean once more and, after an epic year-long journey, make its way to a beach in Kenya. 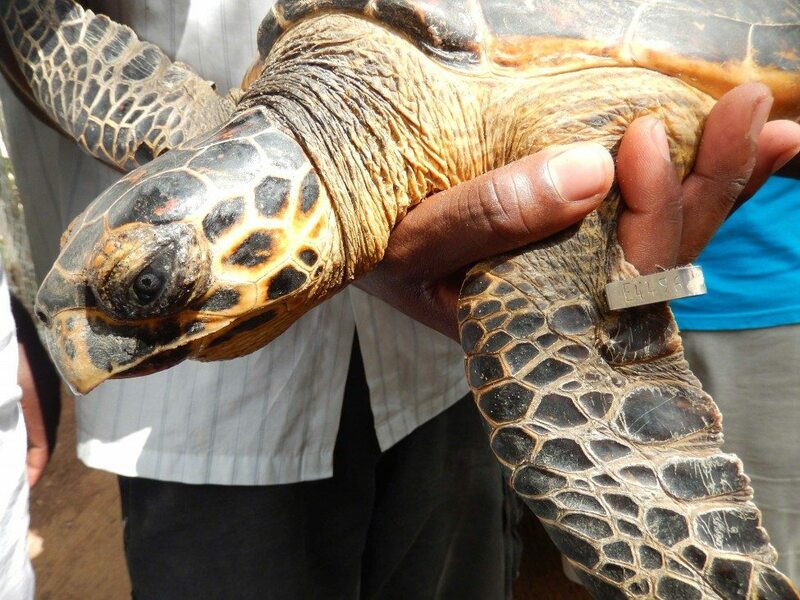 According to Casper van de Geer, project manager for the Local Ocean Trust: Watamu Turtle Watch, the young hawksbill was accidentally caught on 3 October 2015 by fishermen who brought it to the organisation in response to its By-Catch Release Programme. The programme motivates fishers to release turtles that have been caught in their nets by compensating them financially. Van der Geer used information on the turtle’s flipper tag to contact Dr Rainer von Brandis of the D’Arros Research Centre in the Amirantes, who had originally captured the hawksbill in the shallow waters of St Joseph on 2 July 2013. Judging by the build-up of algae on the turtle’s shell, von Brandis believed that the turtle had been resident in the lagoon for several months at that time. 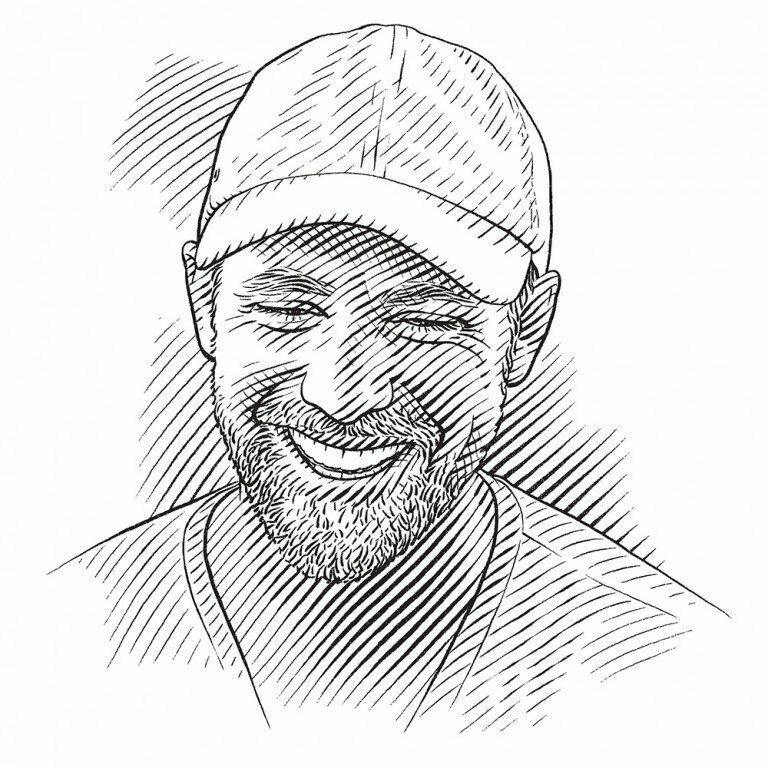 He and his team tagged the turtle with an acoustic transmitter in addition to flipper tags. For the next 14 months, it was detected regularly in the same area, but after 23 September 2014 it disappeared, presumably to begin its record-breaking swim. ‘It has now been released unharmed in the Watamu Marine National Park where it will certainly enjoy a good life,’ reports von Brandis.